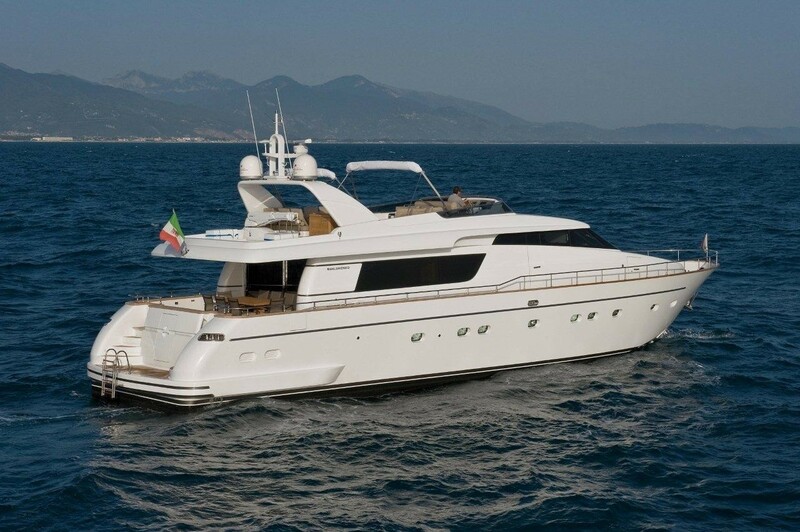 Motor yacht DOUBLE XELLE was built by San Lorenzo shipyard of Italy in 2007 and measures 26m (85.4ft) in length. 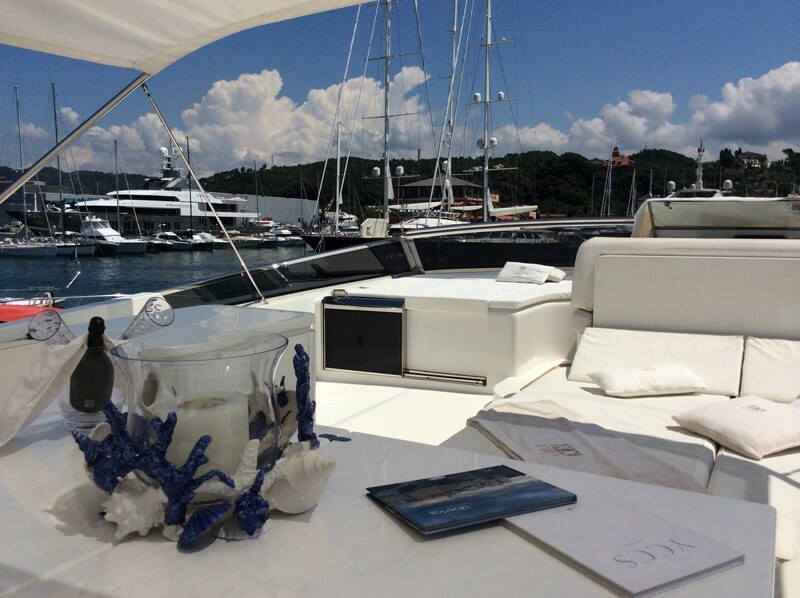 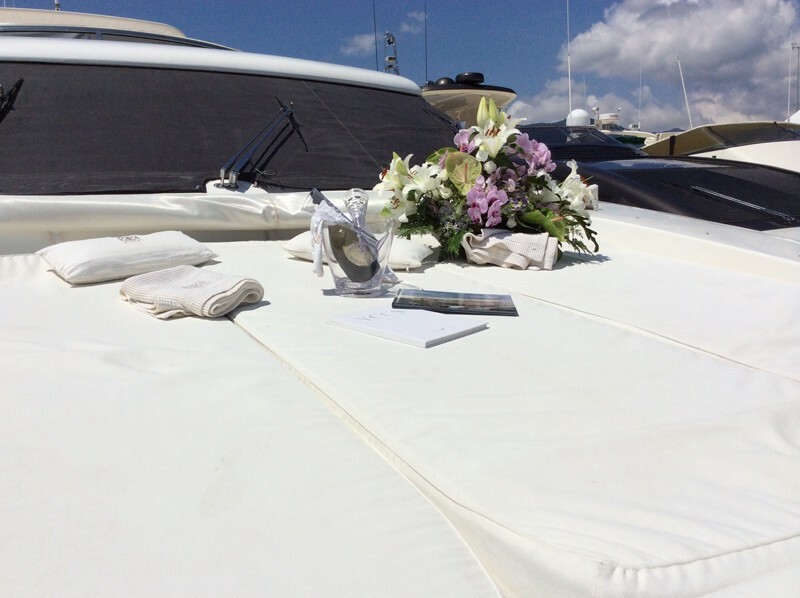 The DOUBLE XELLE yacht offers deluxe crewed yacht charters for up to 8 guests and is available for charter in the West Mediterranean year round. 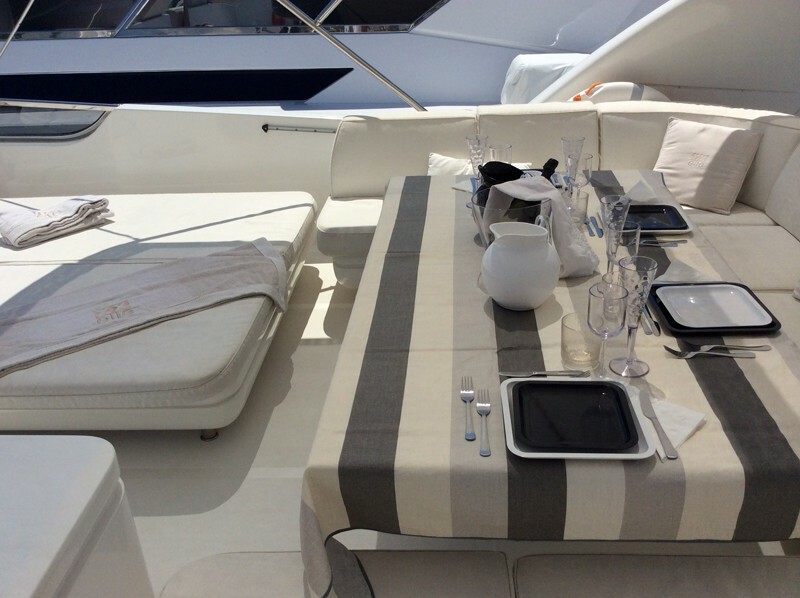 Charter yacht DOUBLE XELLE features a contemporary interior décor, with ample space for guests to relax and unwind. 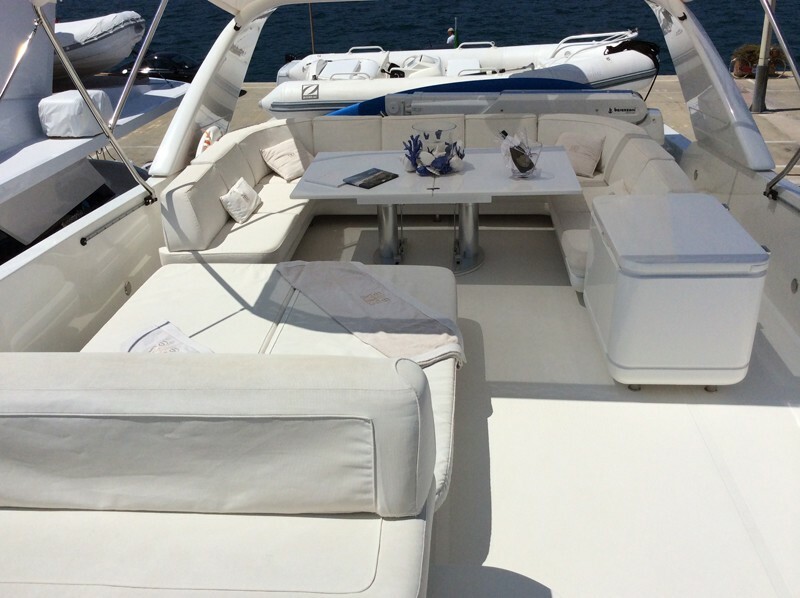 The salon is a spacious open plan, boasting 3 leather sofas, coffee table, full entertainment systems and formal dining table forward. 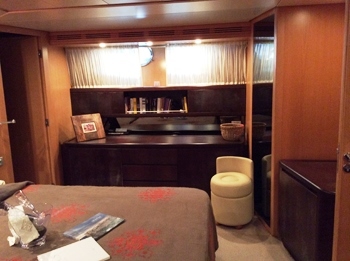 Surrounded by panoramic windows, M/Y DOUBLE XELLE receives plenty of natural light, enhancing her elegant décor. 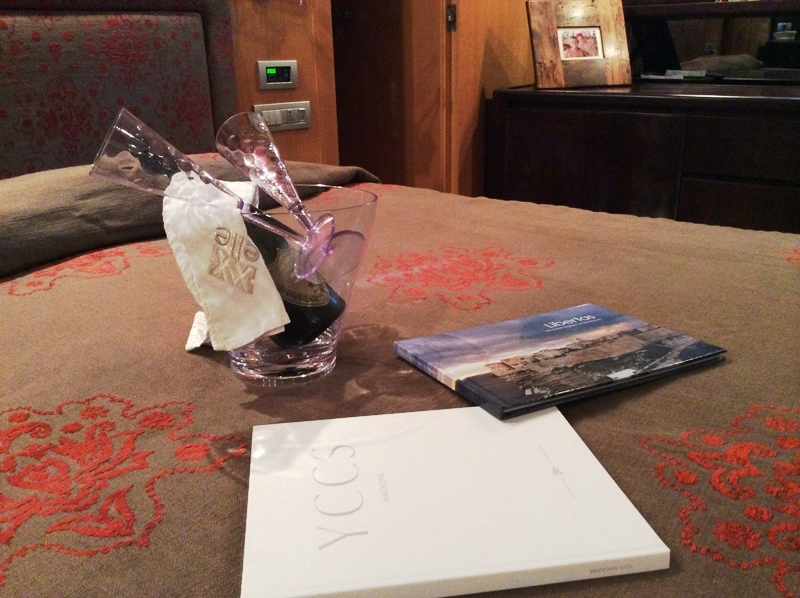 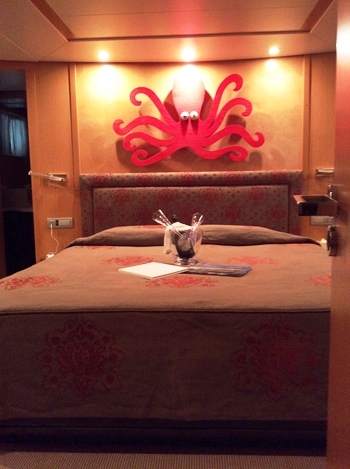 Guest accommodation is below decks, in 3 double and 1 twin cabin, each with private en-suite facilities. 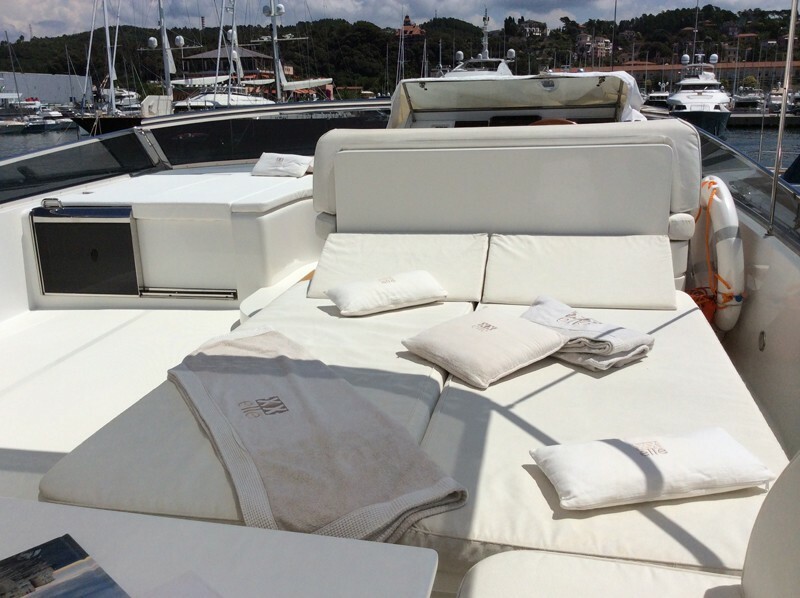 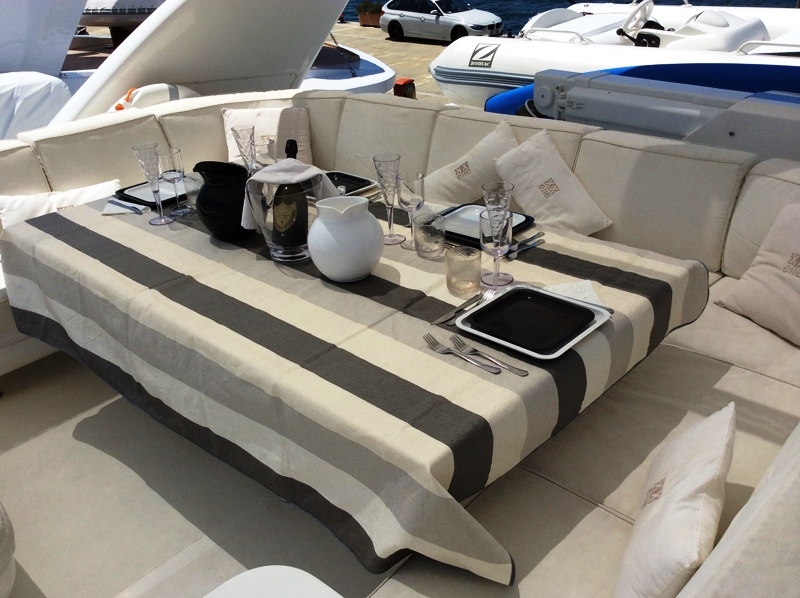 Aboard the San Lorenzo motor yacht DOUBLE XELLE, guests may enjoy a number of exterior living areas on 2 decks. 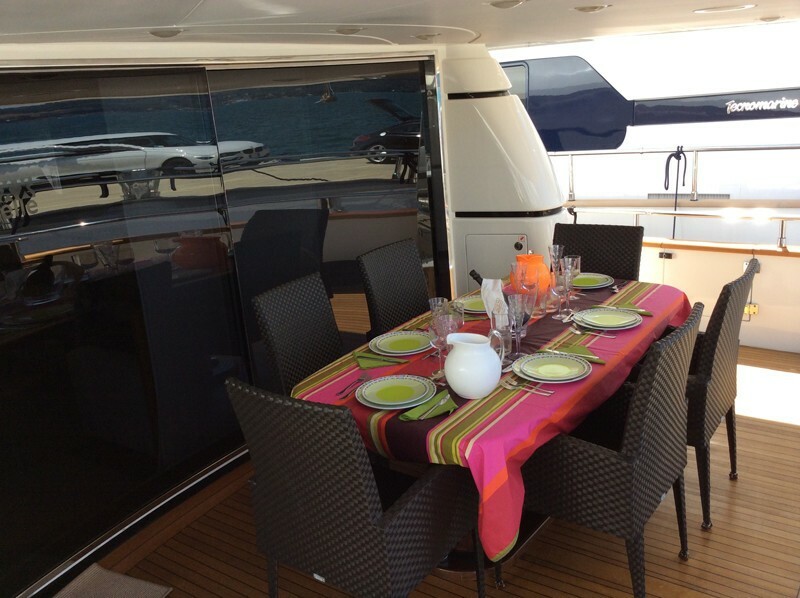 From the salon, sliding glass doors open out onto a shaded aft deck, with an alfresco dining option, perfect for casual or formal entertaining. 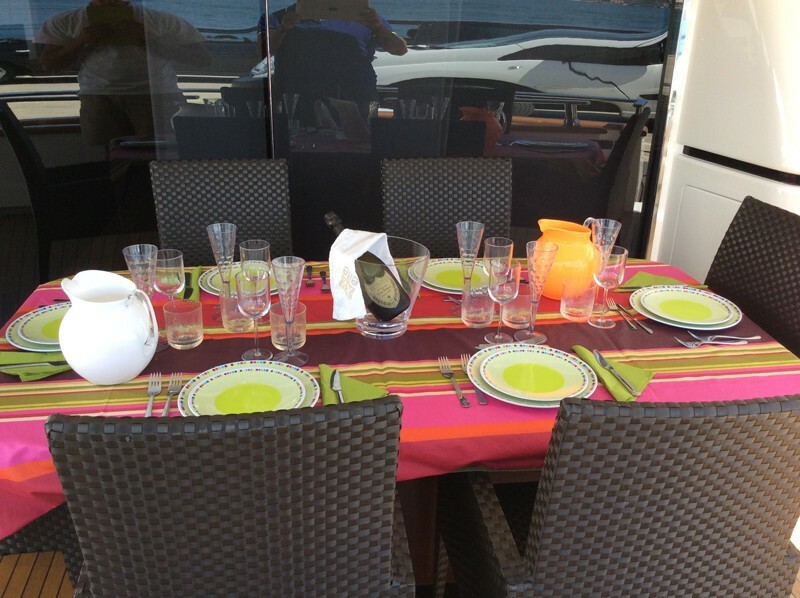 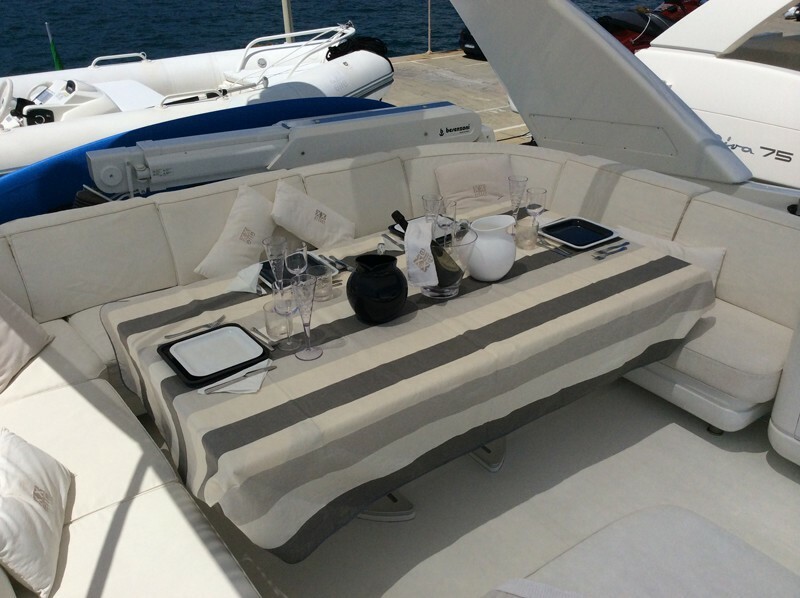 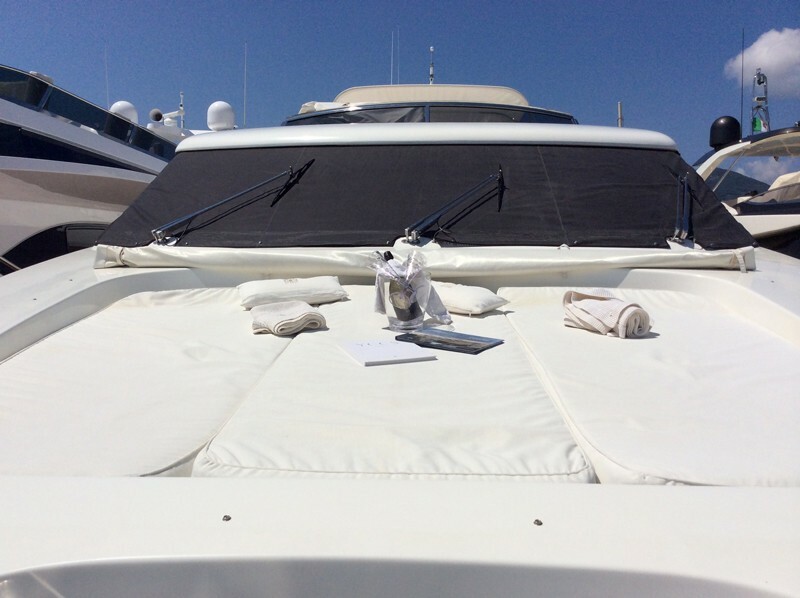 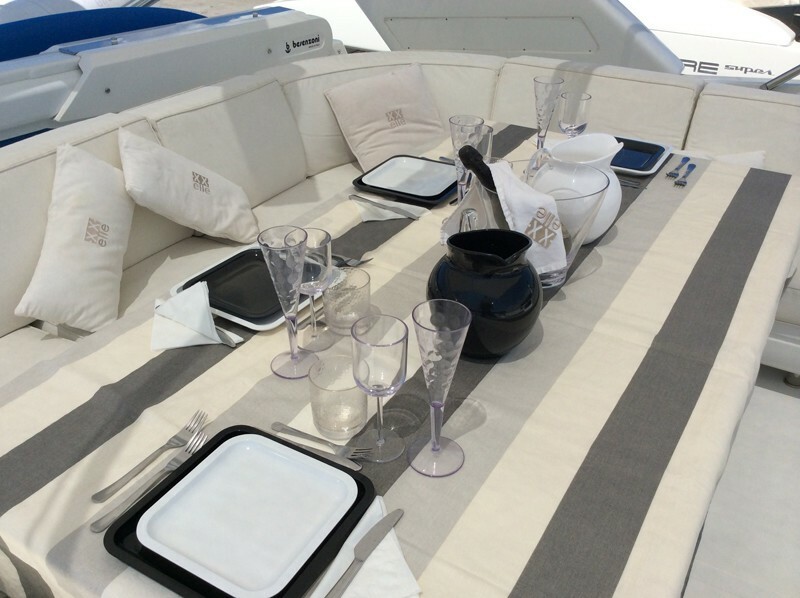 Port and starboard side decks lead to a capacious foredeck and generous sunpad. 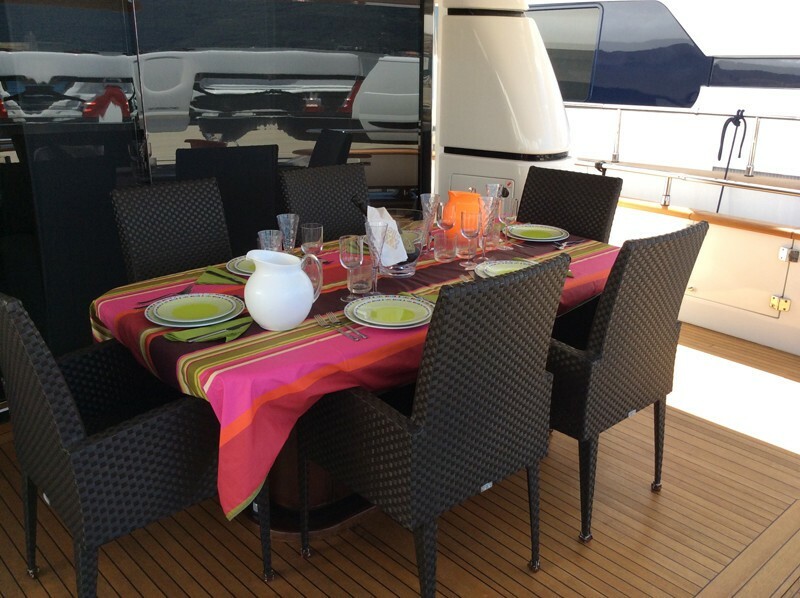 An upper deck is complete with a double sunpad, partial shade and further alfresco dining option. 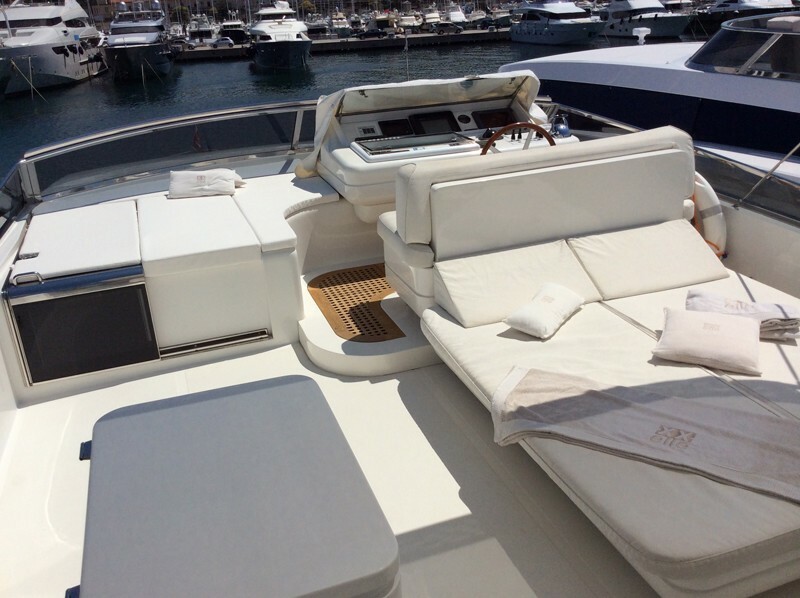 Water enthusiasts won’t be disappointed, thanks to the large extended swim platform, making any water activity a breeze. 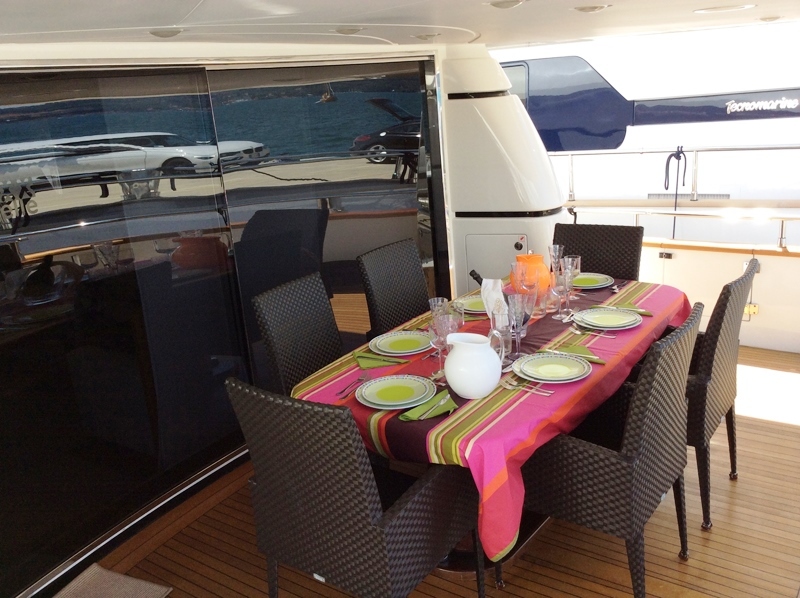 Yacht DOUBLE XELLE is powered by 2 x CAT engines, she averages speeds of 24 knots. 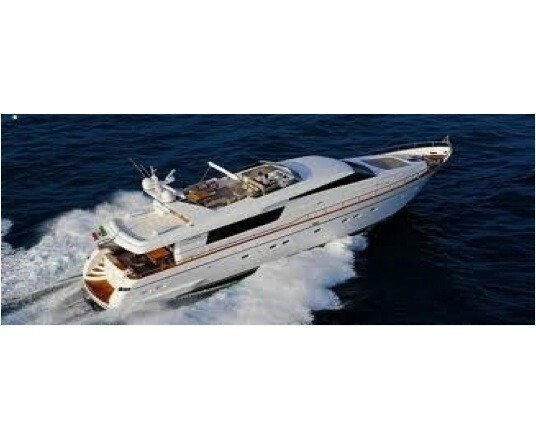 Luxury motor yacht DOUBLE XELLE offers accommodation for up to 8 charter guests, in 3 double and 1 twin cabin. 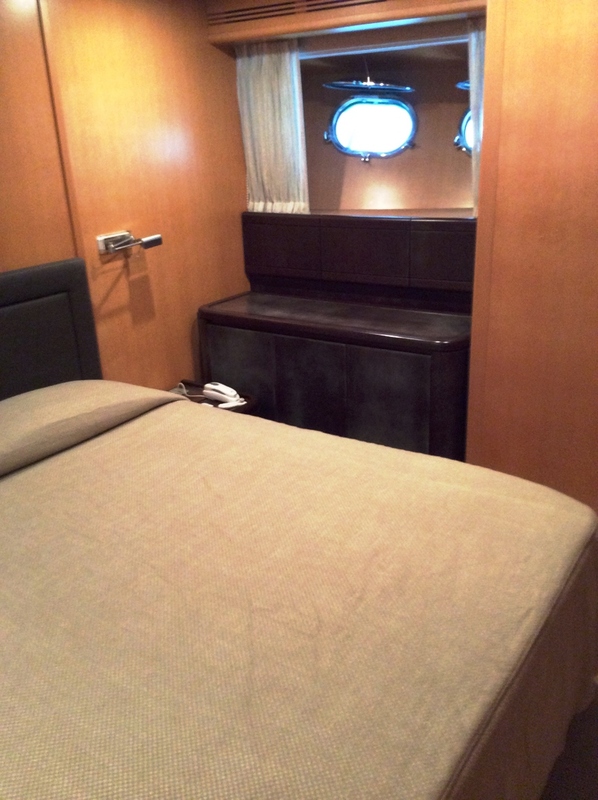 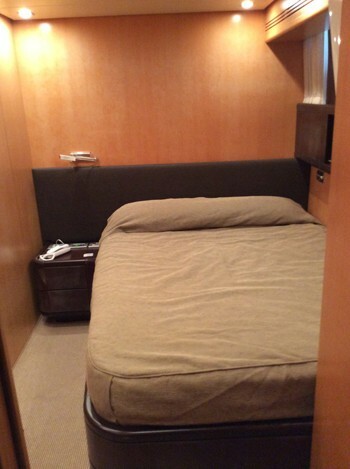 The master stateroom has a king size bed and is full beam of the yacht amidships. 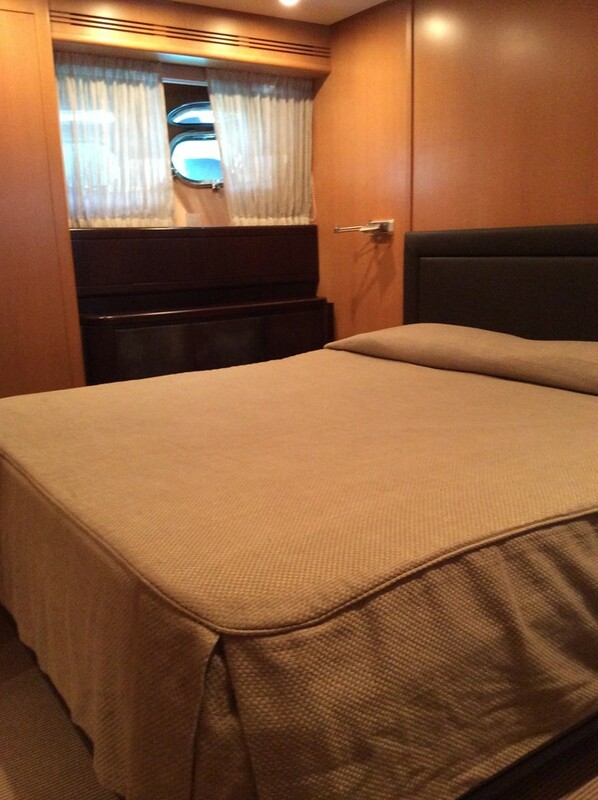 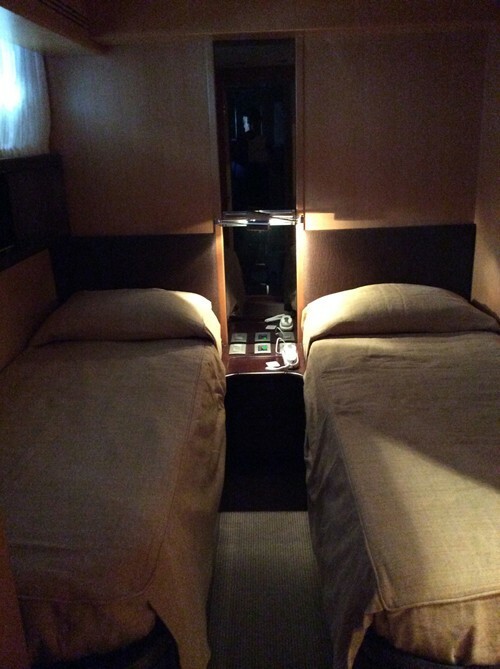 The VIP cabin offers a king size bed and is full beam of the yacht forward. A double cabin has a French style double bed, while a further guest cabin offers 2 side by side single beds. 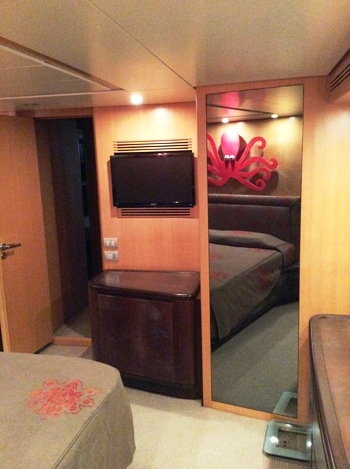 Each luxurious cabin has private en-suite facilities and boasts Sky TV entertainment. 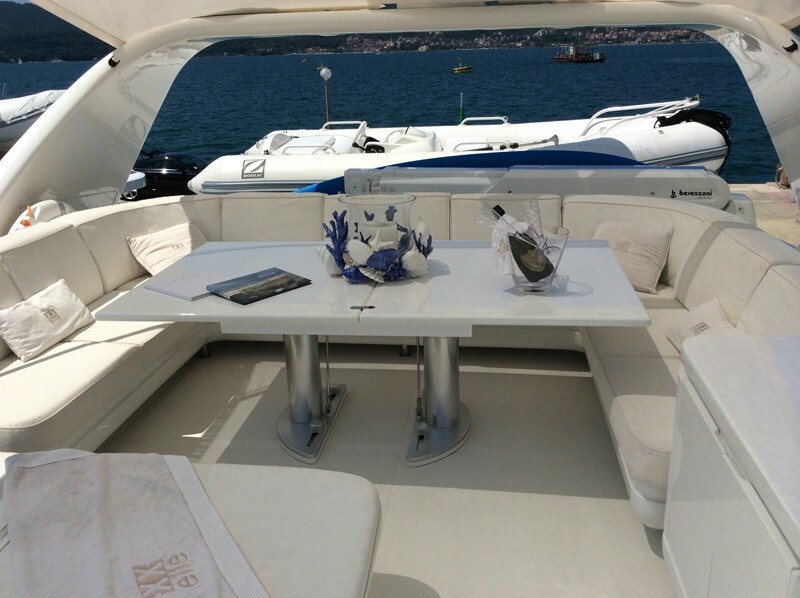 Tenders & Toys onboard the DOUBLE XELLE motor yacht include Water games, Fishing Rods, Wakeboard, Sorkeling and a Jet Dinghy. 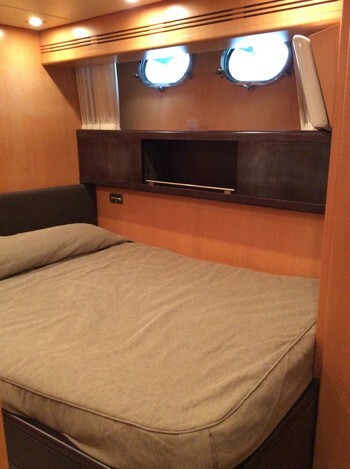 Communications include GPS;AIS;RADAR ARPA. VHF;NERA INMARSAT.Weather Fax;ECO;Coompas Sat. 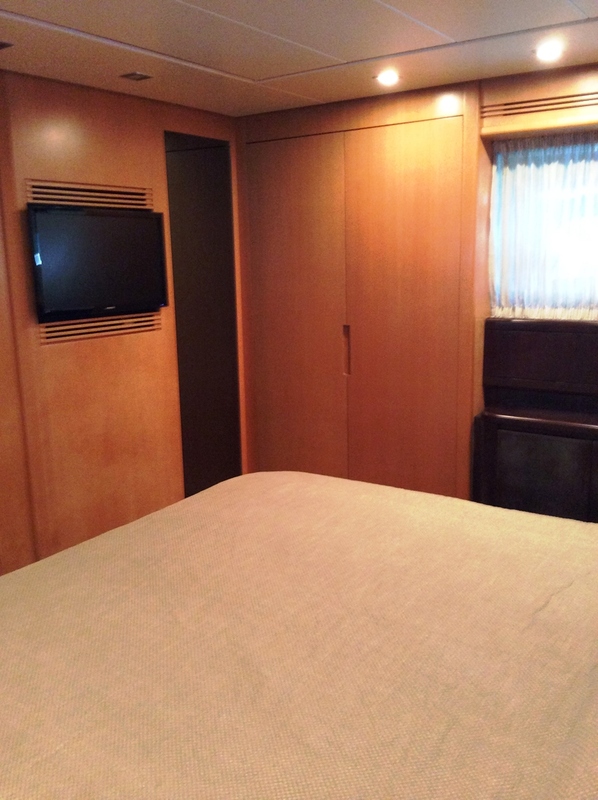 Audio Visual Equipment and Deck Facilities include Air Conditions all Cabins in Saloon, Refrigerators in Every Area, HI FI Enternet, Hi FI Music Bose, for Ipod, Iphon,Mac First deck Saloon has a Tv Sky, Music, Game,Hi Fi,In all cabins there is a TV,SKY.